1) The VTB capital garden – Spirit of Cornwall. 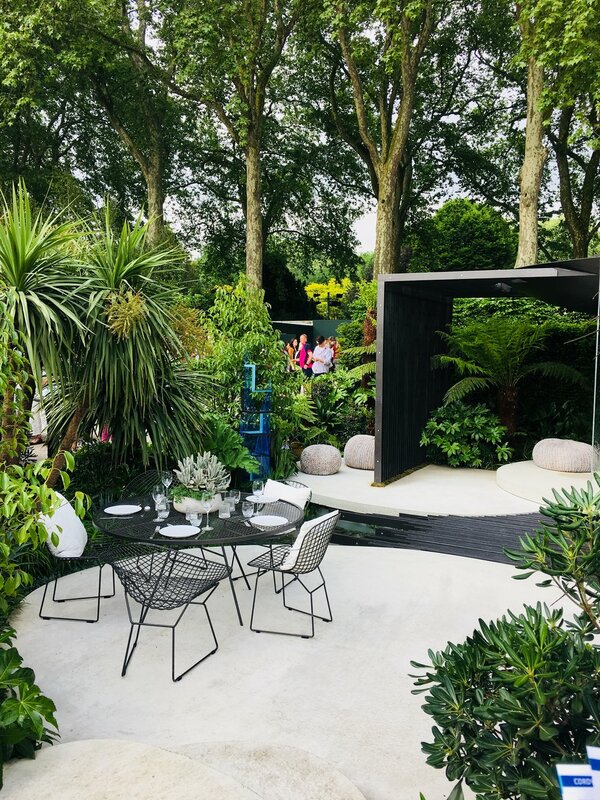 As voting goes in the the Fake It office, this stunning garden was the absolute clear favourite and in our eyes deserved a Chelsea gold, It was a huge range of lush planting, featuring ferns, palm trees, bay laurel and aspidistras. The clean white stone hard landscaping against the greens made for a calming and almost spiritual garden space. Re create this look with our wonderful faux dikensonia ferns, Paradise palms and monstera leaves. 2) Chelsea 2017 was all about the ‘bun moss’ and we were happy to see it still in evidence this year in the smaller garden spaces, In the artisan garden section the O-mo-te-na-shi no NIWA ( the hospitality garden ) used two beautiful twisted larches either side of the entrance under planted with gorgeous moss. Our faux bun moss is actually a preserved version of the real thing so we can re create this stunning textural under planting look with ease. 3) The vertical garden trend has been in evidence for a few years now and it still very much in fashion as seen in Garden Club London’s and lemon tree trust’s stunning plot. With garden space at a premium in London a vertical garden makes the perfect alternative and a green wall can add softness and colour to any outdoor space, however small. Suspended and tiered structures shown are an alternative way to create a vertical green wall. With interest being added with hanging pots. Again this can easily be created with our faux planting as an evergreen alternative to our more traditional green walls. 4) Houseplants – Ikea and Indoor garden design had large displays in the great pavilion. As seen in most interior magazine’s in the last year, the trend for green indoor plants is as strong as ever. Large leaf varieties like monstera and aspidistras are perfect to create interior gardens of lush greenery. See our faux Palms, cacti and succulents and group en masse to re create this look. From cacti to succulents, indoor houseplants are still a key trend.